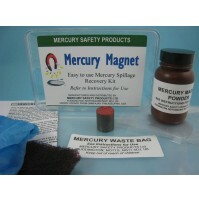 Mercury originating deep underground is a natural contaminant of oil and natural gas. In oil gas and petrochemical plants it can condense out and accumulate in liquid form causing embrittlement of metal components (with the risk of explosion) and presenting a toxic hazard to workers in these plants. Workers on oil rigs and in refineries and other processing plants should regularly be tested for mercury exposure and should take steps to ensure they are protected from occupational exposure. 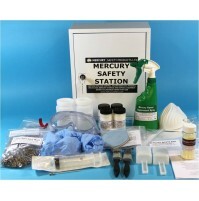 How would we improve our best-selling Mercury Spillage and Decontamination Kit ? 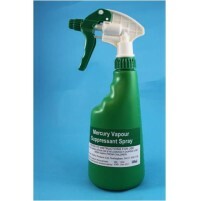 By adding a mercury vapour-proof mask as standard. 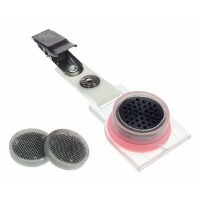 This model contains all the components of the standard HK kit, but with a mercury vapour-proof mask to protect the wearer from mercury exposure and possible harm to their health while dealing with the spillage. 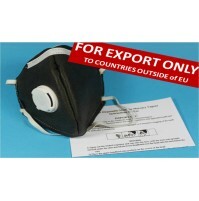 The mask, which is sold separately, is rat..
Workers in the recycling industry who handle and dismantle electronic equipment are frequently exposed to lead fumes. 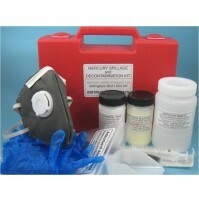 Occupational lead exposure is hazardous to the health of these workers and people at risk should be monitored. 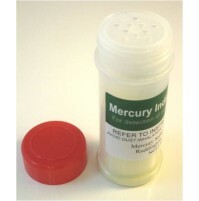 Urine assay of lead is the best method, as with mercury. 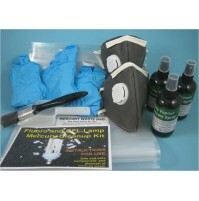 This sample kit contains a urine sampling bottle, full instructions and the analysis is pre-paid. ..